There’s no doubt cover crops provide an abundance of benefits for producers, including boosting soil health and improving crop performance. However, not all cover crops are created equally, especially when it comes to ensuring cover crops don’t become a weed in crop rotations. Glyphosate plus Eragon were sprayed at this plot on May 29. 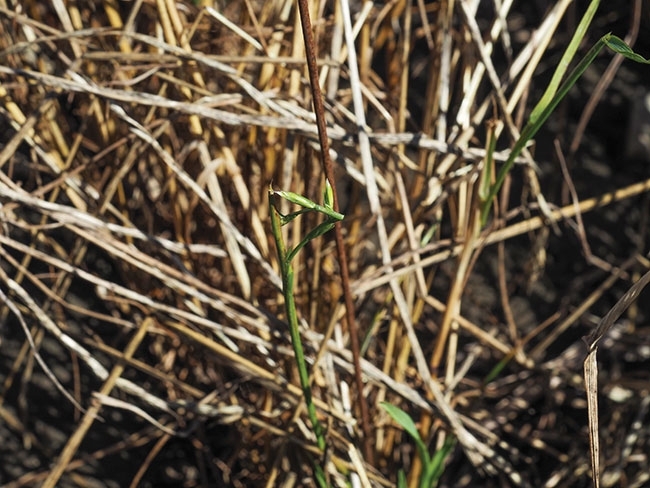 As of July 7 Proper termination of cover crops is critical to subsequent crop success. Annual ryegrass is one of those cover crops. Kris McNaughton, a researcher at the University of Guelph in Ridgetown, Ont., says there are many reasons producers might choose annual ryegrass as a cover crop to overwinter. That said, she adds it can be problematic because it is challenging to kill the next spring. There are a number of methods producers can use to terminate their cover crops, including winterkill, mechanical methods and herbicides. However, with annual ryegrass, McNaughton says none will be 100 per cent effective. “Tillage can help control but you need to be prepared that you are still going to be spraying with Roundup and tank mix with a Group 1 herbicide,” she adds, explaining in some of their trials on timing to kill with glyphosate, they still had three plants survive, and as many as 50 per cent came up if there was a timely rain to cause regrowth. 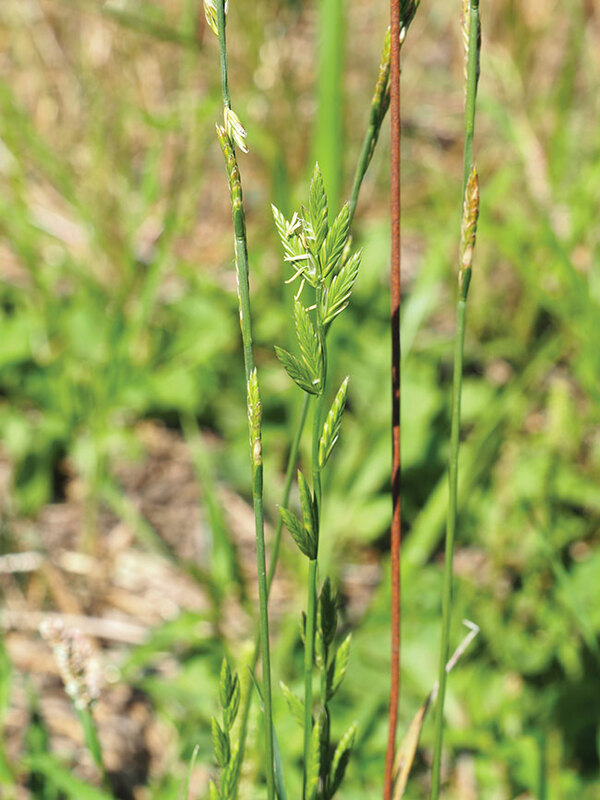 While herbicides are the best option for terminating annual ryegrass, timing is critical. McNaughton recommends applying as early in the spring as you can, although there will still be regrowth. McNaughton says cereal rye is a better option for a cover crop if a producer is looking to add overwintering. This is because it has advantages similar to annual ryegrass but is easier to terminate in the spring with lower rates of glyphosate alone. Cereal rye is not as set on timing either. Cereal rye can also provide allopathic weed control. “It naturally suppresses weeds we want to control later on,” McNaughton says. One example of this is trials in Oxford County and Norfolk County, where researchers looked at different management practices to control Canada fleabane. They saw no Canada fleabane growing anywhere they planted cereal rye in the fall. This was regardless of herbicide or tillage treatment they also used. Other options include red clover and crimson clover. Both overwinter well, are efficient nitrogen fixers, improve soil health and protect against erosion. McNaughton says annual ryegrass still has its place as a cover crop.